Nancy Bowne is a senior who is now a photography editor and has been a copy editor since her sophomore year. 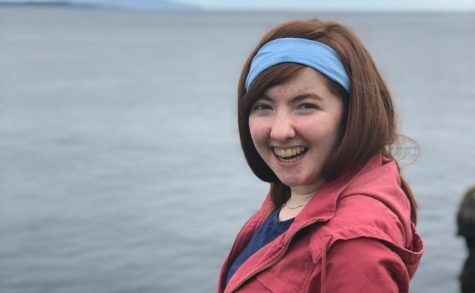 She also has been a theatre critic with the Eastern Greater Philadelphia Cappies team for three years, and will be lead cappie this school year. She also is an anchor for ETV. Nancy’s writing has been published in The Philadelphia Inquirer, Ms. Magazine, and The Trace. She reads several books at a time and enjoys audiobook reading. Some of her go to newspapers include The New Yorker, The Philadelphia Inquirer, The J. Peterman Catalog, and the IKEA catalog. She has a somewhat basic knowledge of English, Spanish, and Swedish (thanks, IKEA!) Her new favourite word right now is splice. Some of her other hobbies include thrift shopping, playing Bassoon and voice, and eating carrots.